30 years ago, a few LensCrafters employees conducted an experiment – donating 25 pairs of glasses to disadvantaged kids and optimizing the whole process so that the time from eye exam to fitting was just a few hours. That one experiment blossomed into a decades-long commitment to bringing access to vision care to everyone that lacks it. LensCrafters and other Luxottica employees have formed the backbone of our work, through their volunteer work and financial support. using the latest vision care technology. 1 in 4 students in the US has an undiagnosed vision problem. That’s why LensCrafters sponsored the opening of a permanent school-based vision center in Brooklyn’s PS 188 in Coney Island. Now all 5,000 students and their family members will have access to an eye exam and a pair of glasses. You will often see Dr. Pam examining patients on clinics wearing colorful tutus and tennis shoes, bringing smiles to everyone’s face. When Dr. Pam was 7 years old, she received her first pair of eyeglasses. She remembers saying to her parents, “I didn’t realize trees had individual leaves, I thought they were just green blobs.” Now, when she can give that moment back to a patient during a clinic, it takes her back to what the first time seeing clearly was like for her. Some of Dr. Pam’s favorite things to see are: the smile on her grandchild’s face, the joy when her patients can see for the first time and the beauty of a sunset. for stories of victory delivered right to your inbox. for as little as $10 and ensure a brighter future for someone in need. Get your family and friends involved in helping the world see a better reality. 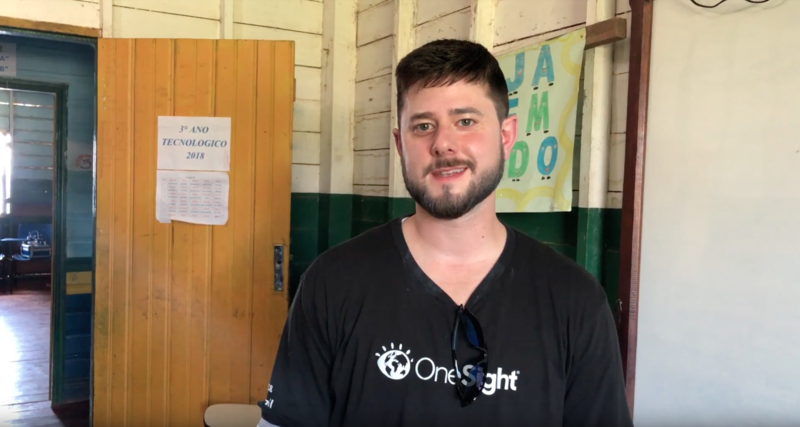 or learn more about OneSight and the global vision care crisis.